Katy Trail nominated for American Planning Association's Great Places in America - now needs your vote to win! 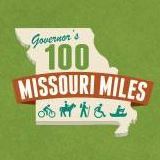 The Katy Trail in Missouri is one of the 5 finalists for the American Planning Association's Great Place in America, People's Choice designation this year. Voting for the winner is now open online. More information--or cast your vote in support of the Katy Trail--here. We really need to rally the votes! The Katy Trail was nominated as a Great Public Space this year, but APA doesn't have a criteria that really fits a trail. So…People's Choice is our only chance! « Previous story: Katy Trail & Rock Island Spur Open House in Sedalia Oct 16th - public invited!